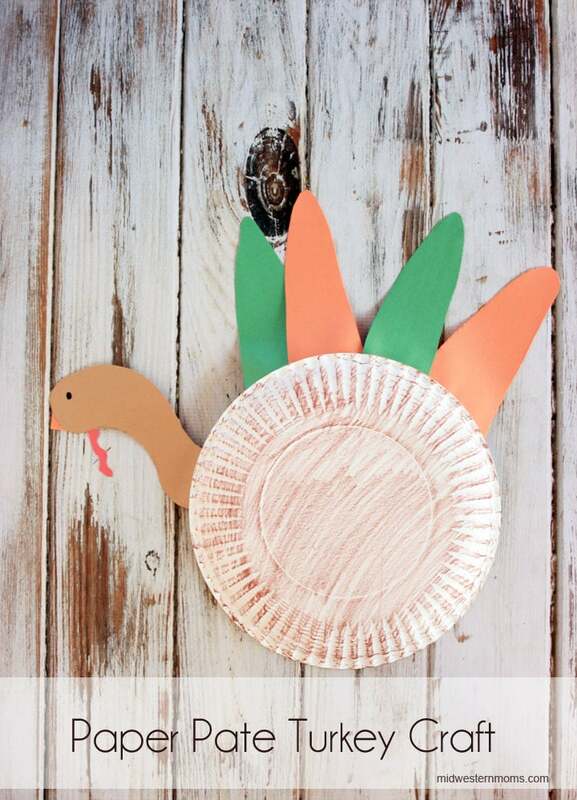 I was looking for a Thanksgiving craft that my son and I could work on together. We decided to make a paper plate turkey craft. It was easy to make and we had lots of fun working on it together. First, color the paper plate with the brown crayon. We colored the backside of the paper plate. Second, use brown construction paper for the head, orange construction paper for the beak, red construction paper for the gobbler, and then pick out colors for the feathers. I drew the head, feathers, gobbler, and beak onto the construction paper. Then cut out the shapes. Your preschooler can practice their cutting skills. My son wasn’t wanting to cut anything out today so I cut them for him. Third, glue the gobbler and beak to the back side of the head. Draw a circle for an eye on the front. Then glue the head onto the paper plate. You may have to hold the head in place while the glue drys a bit. This was the part that my son wanted to do. He was more into gluing the items onto the paper plate instead of cutting them out. Fourth, glue the feathers onto the paper plate. Hold the feathers in place while the glue drys a little bit. Allow the glue to dry before displaying. 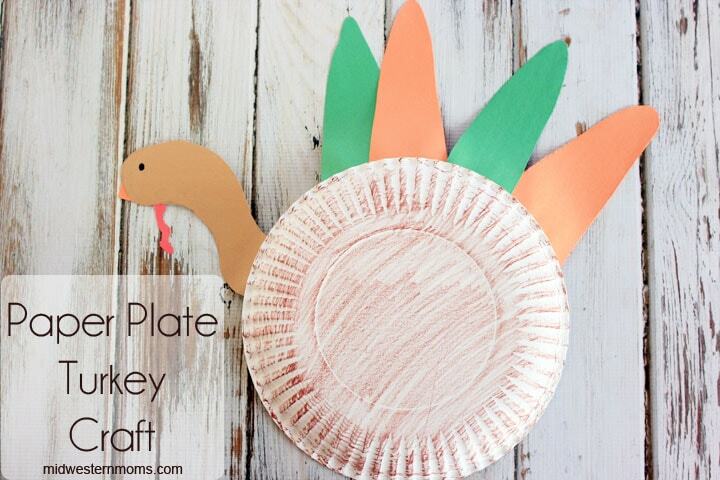 My son loved the paper plate turkey craft and I am sure your preschooler will have fun too! Great project for the little ones. Thanks for sharing with us at the #HomeMattersParty link party.